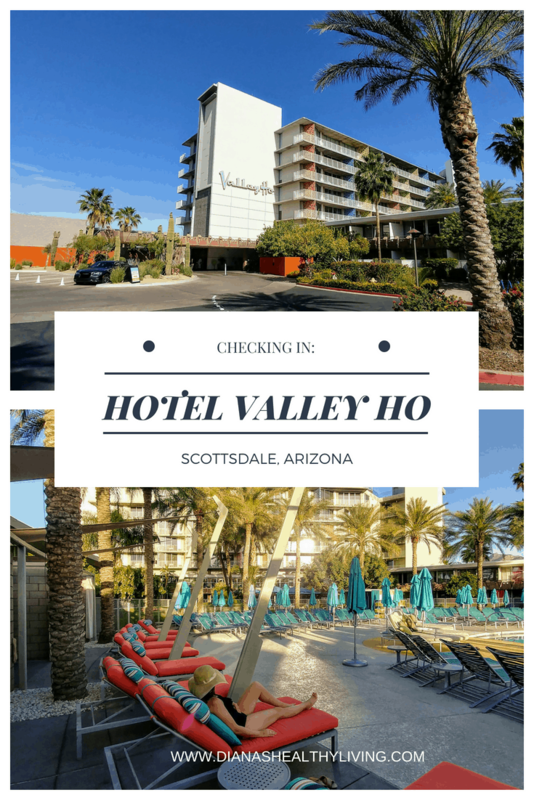 My husband and I were so excited to be checking into the Hotel Valley Ho. 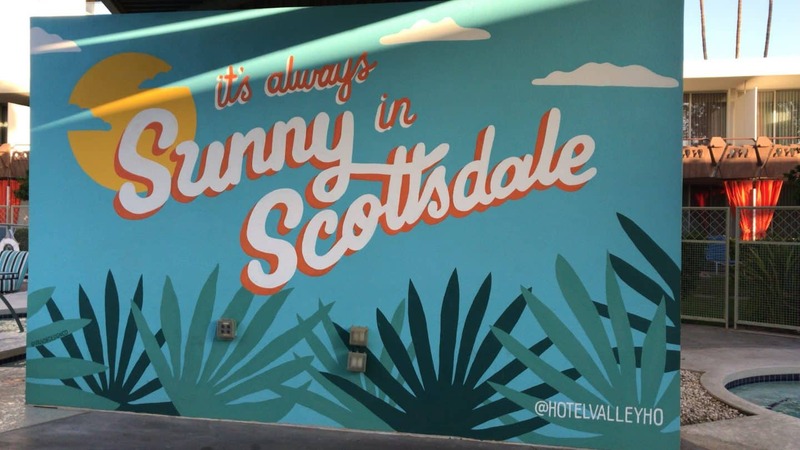 On our last visit to Arizona, we visited the hotel for some drinks and were very impressed with the retro vibe. 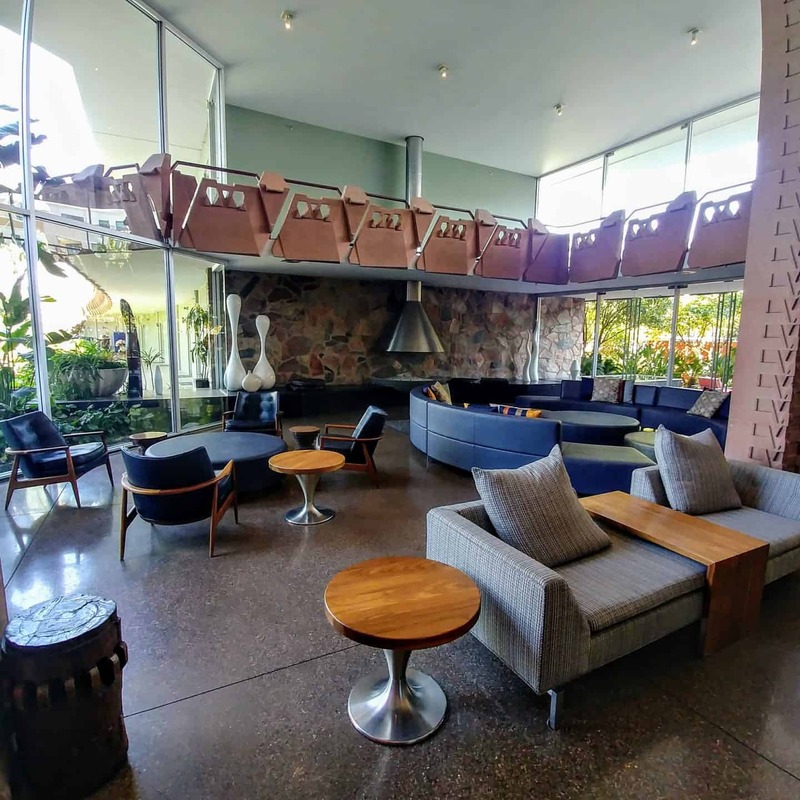 With its classic mid-century modern design, stepping into this hotel feels like stepping back in time. 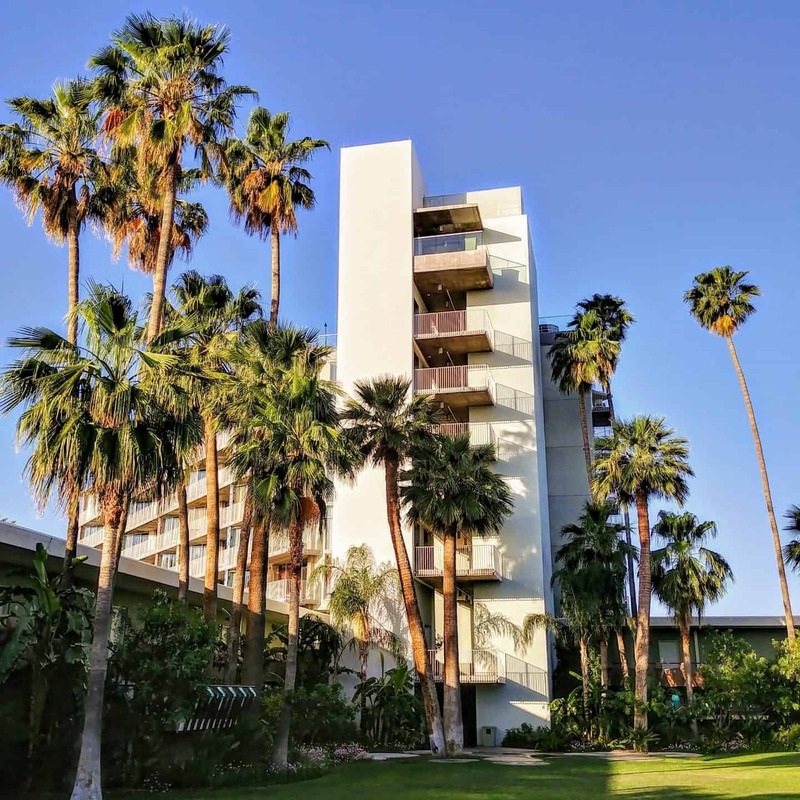 So many celebrities in the past retreated to this hideaway such as Zsa Zsa Gabor, Tony Curtis, Natalie Wood, Robert Wagner. It was known as the most western town that the paparazzi couldn’t easily get to. 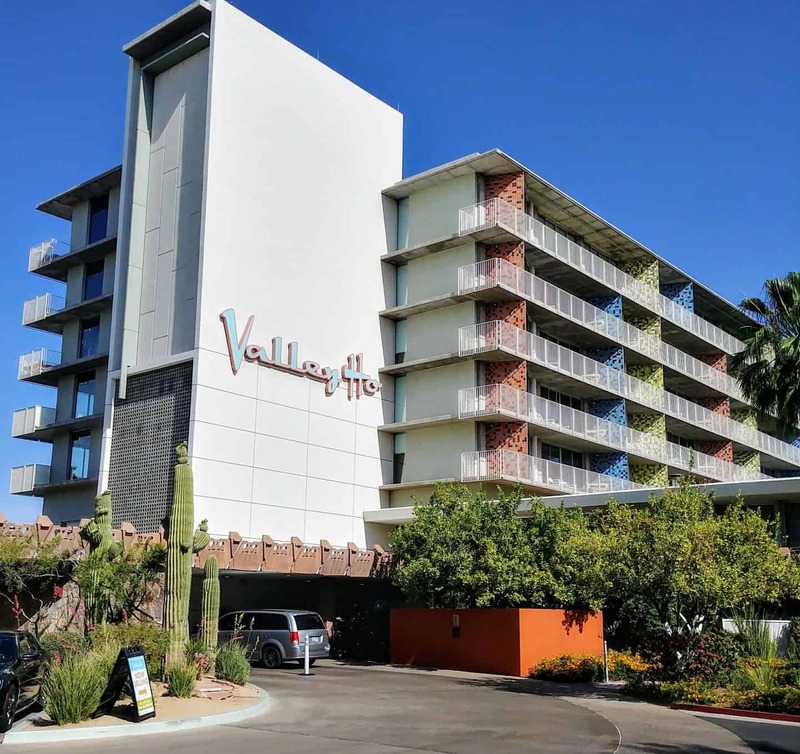 Hotel Valley Ho is in Downtown Scottsdale and just 15 minutes from the Phoenix Sky Harbor International Airport. 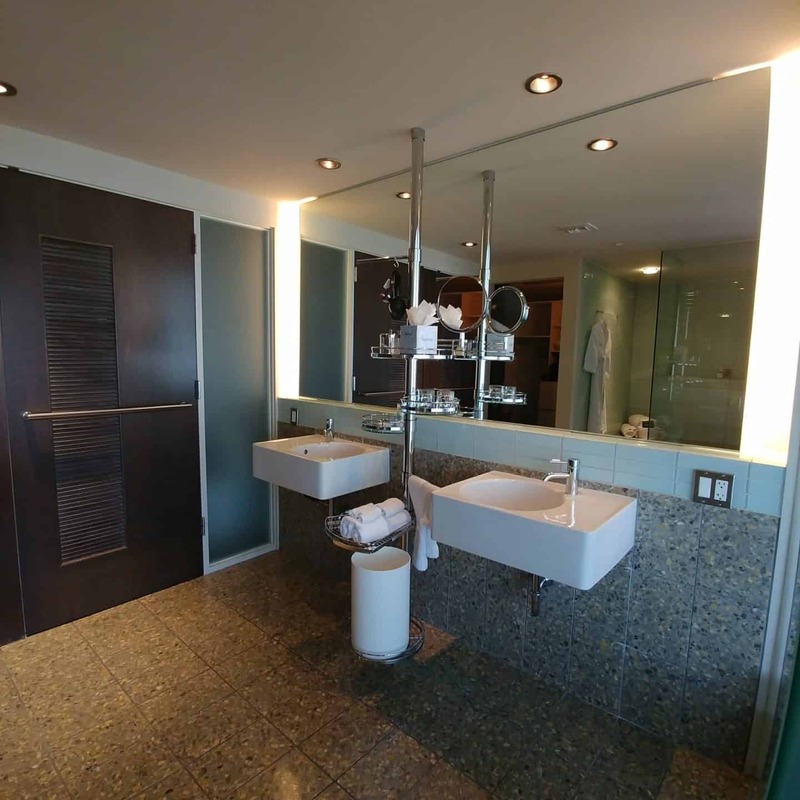 When we checked into our room we were so excited to find out we would be staying in a tower suite. 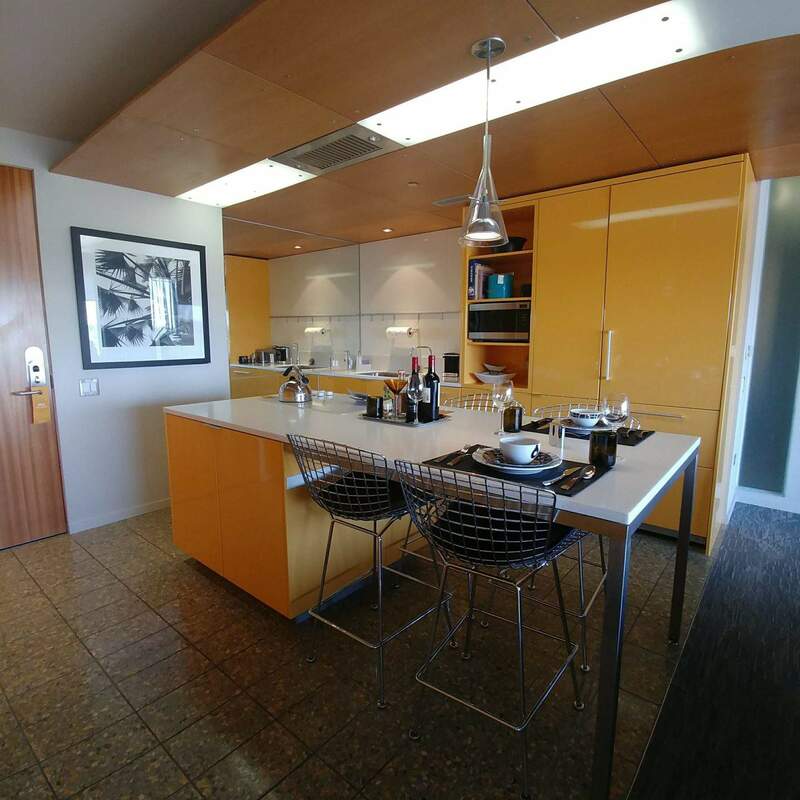 It is a stunning suite that will make you feel like you are stepping into an episode of the Jetsons with high gloss orange kitchen cabinets, a huge sitting area, the bedroom separated by the flat screen tv and the Terrazzo-tile bathrooms with translucent walls and oversized bathtub and separate showers. 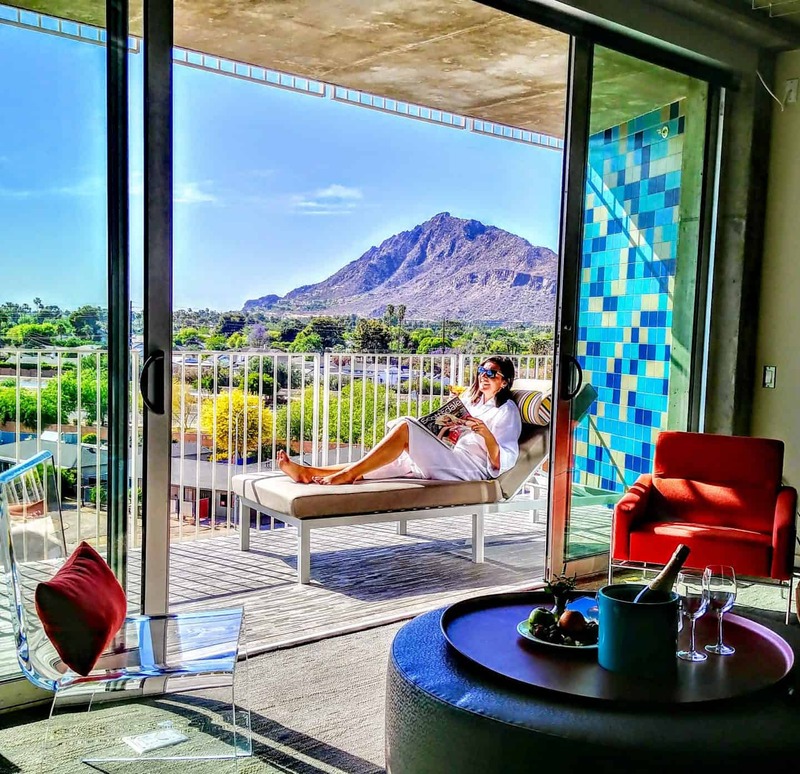 Our room had a huge balcony that was perfect for watching the magnificent Arizona sunsets. 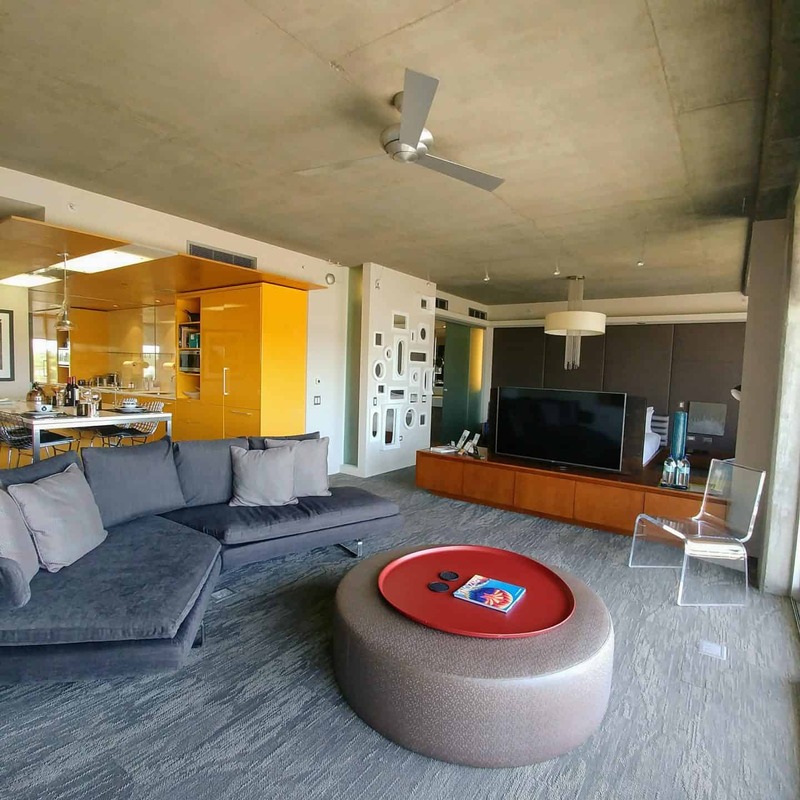 It is such a spacious and dreamy suite. The OH Pool is definitely the hotspot at the Hotel Valley Ho. The OHPool Bar + Cabanas features a full-service bar and kitchen that serves handcrafted cocktails and light poolside munchies including sandwiches, paninis, and salads. 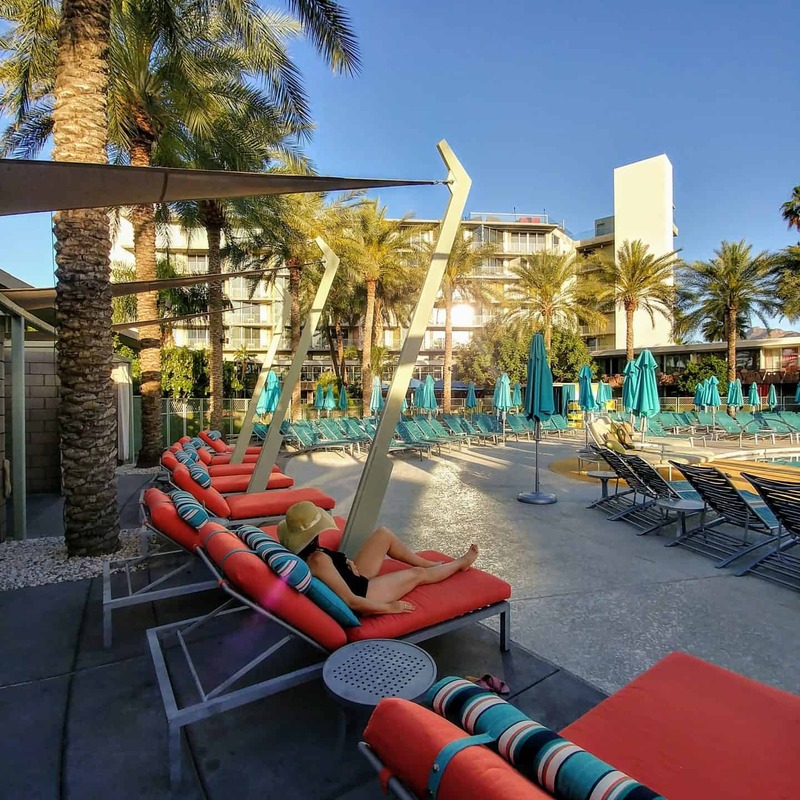 The pool offers eight private cabanas, a firepit, water feature, and two hot tubs. We checked in on Sunday and the pool area was the star attraction with music and a party atmosphere. 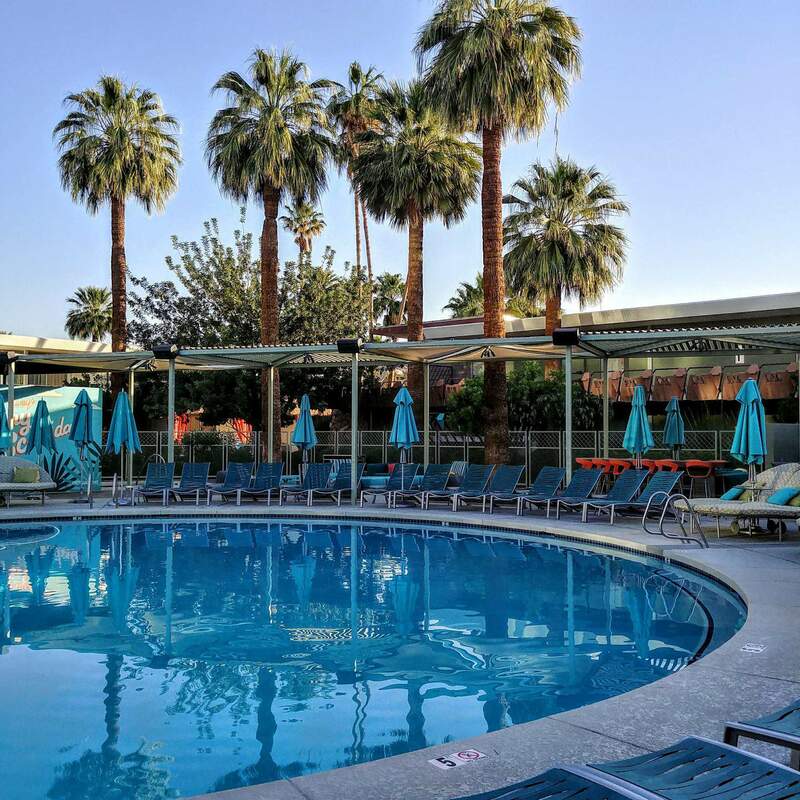 The OH Pool at the Valley Ho was named one of the World’s Coolest Pools by Travel & Leisure. 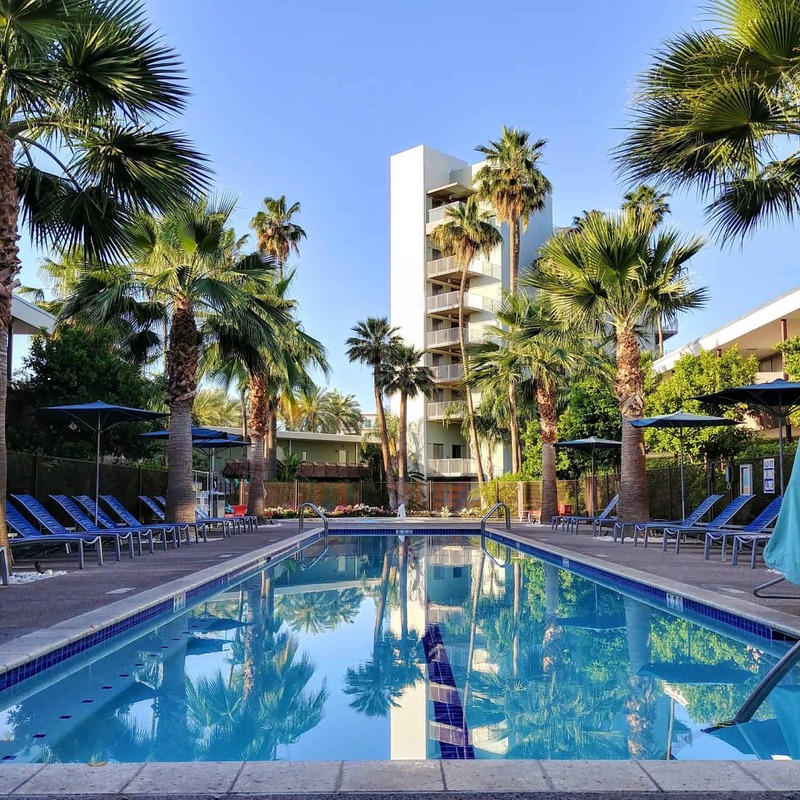 If you are craving a quieter space you can retreat to the OHasis Pool. ZuZu opened in December 2005, as the signature restaurant of Hotel Valley Ho. 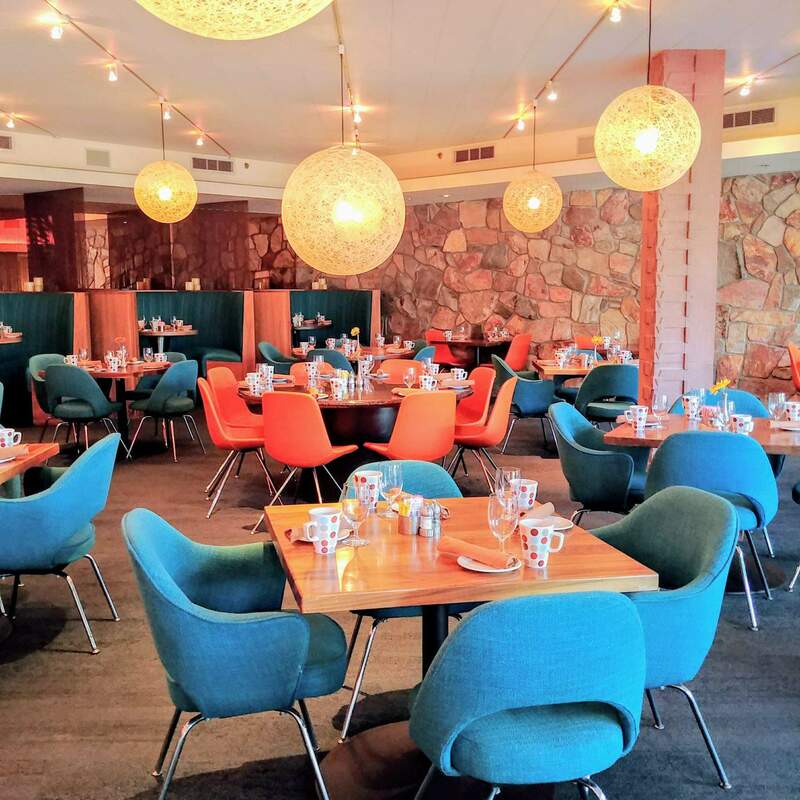 It features a mid-century modern design and serves seasonal American food. 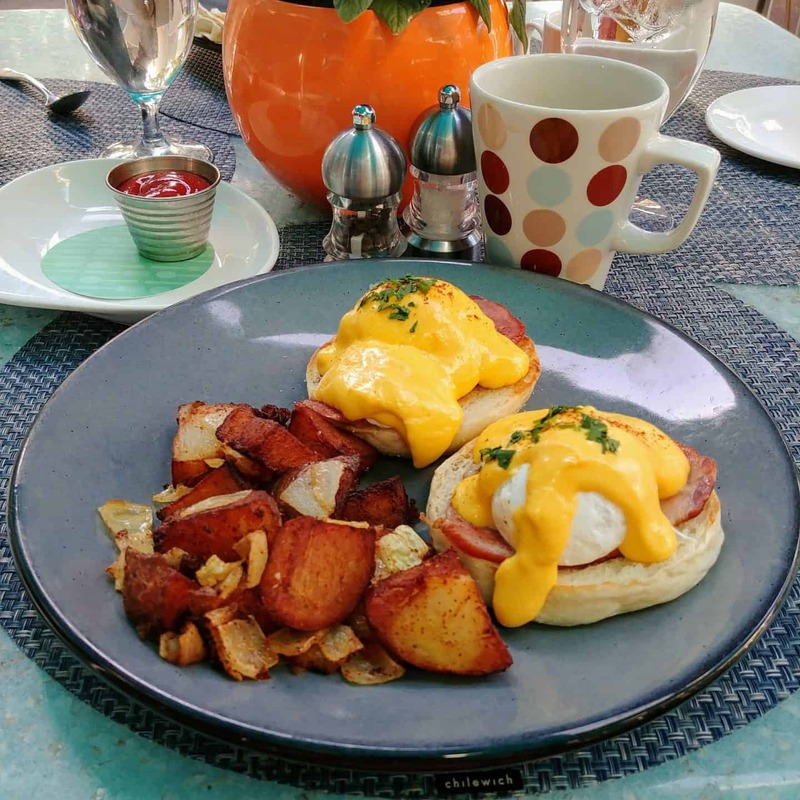 Named after a beloved mother and grandmother, ZuZu is the nickname of a fantastic local cook who is the inspiration for the menu. 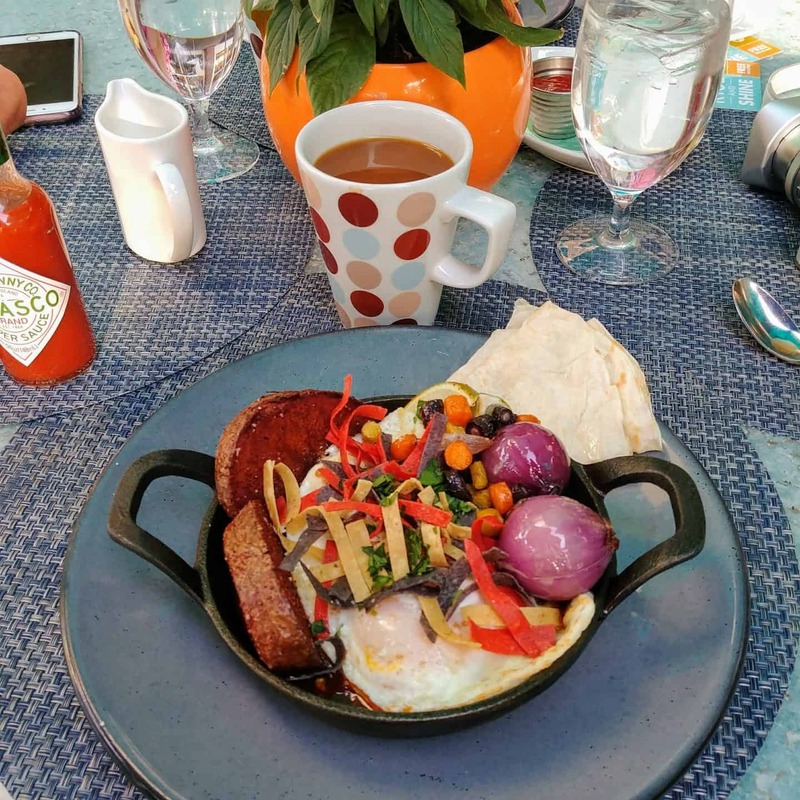 I love that ZuZu uses local, seasonal, and organic ingredients and that the menus change seasonally. 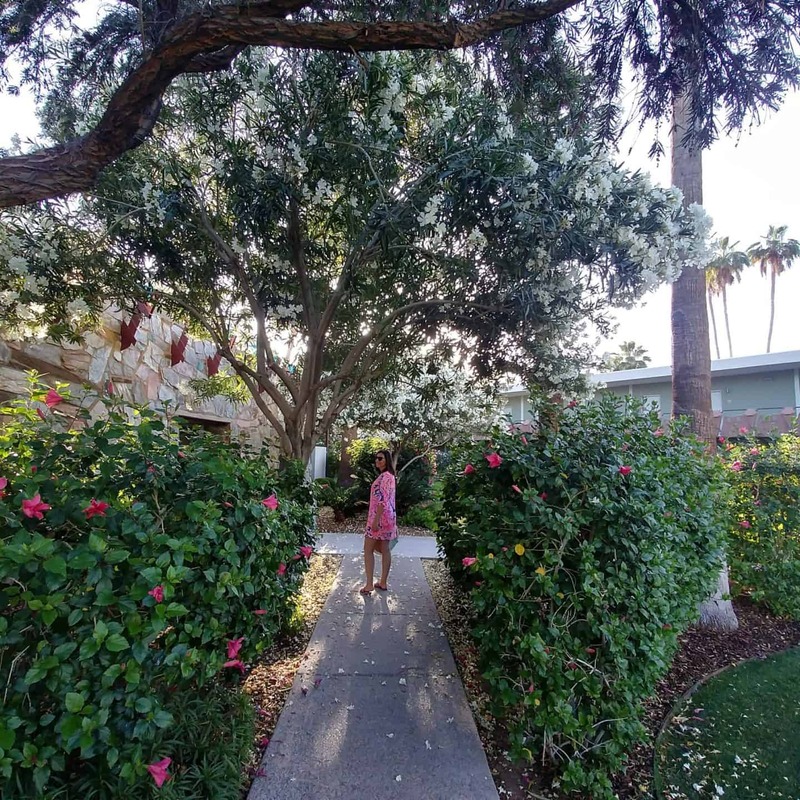 We had a wonderful stay at the Hotel Valley Ho and would recommend this hotel to guests looking for a fun and lively getaway. Thank you Hotel Valley Ho for a wonderful stay. Disclaimer: I was hosted by The Hotel Valley Ho. As always, all opinions are my own. That top image though Diana. You really pick amazing places. Plus your domain name and choice of hotels meld perfectly. Best way to live a healthy life is to pick a gorgeous, natural environment. Soak it up and health and healthy choices ooze through your being, as you are among the perfection of nature.